Happy Halloween to all of our students and staff! 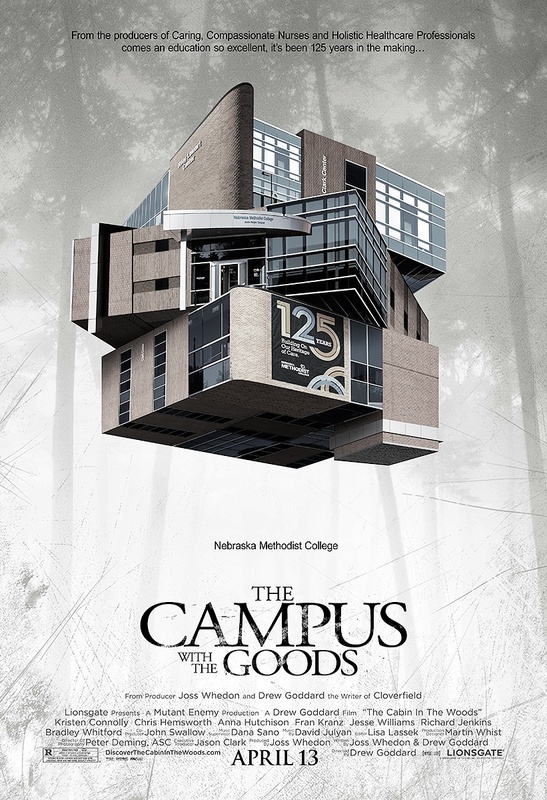 It was far from business as usual at Nebraska Methodist College this past Thursday. 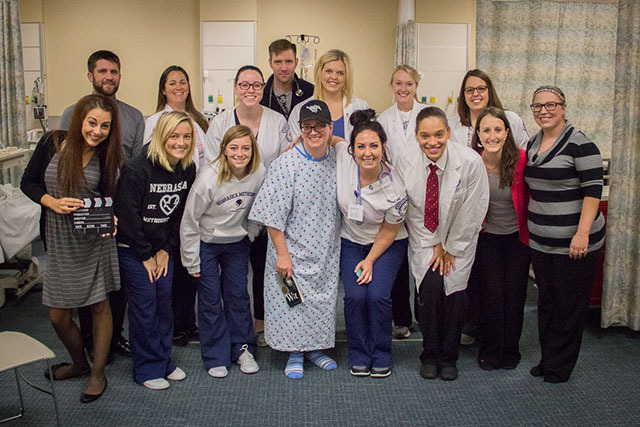 You wouldn’t expect students at a nursing and allied health college to be acting out a play in front of their classmates, but Nebraska Methodist College isn’t like most places. Have you heard the news? Nebraska Methodist College has just announced the area’s first Nursing Informatics option for Master of Science in Nursing students. 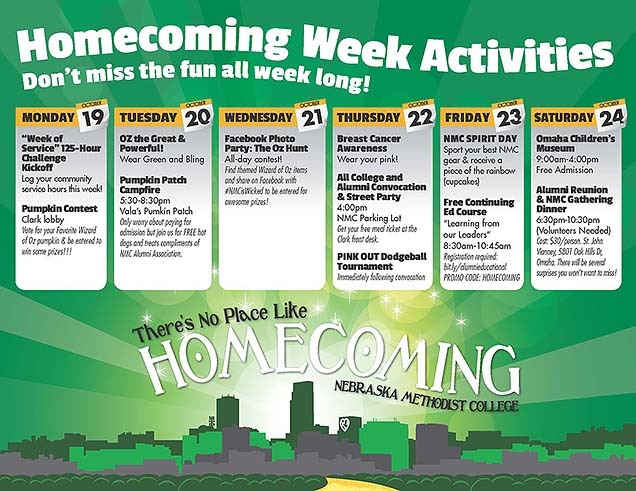 Homecoming Week is here, and Nebraska Methodist College is hosting a celebration unlike anything we’ve ever done. Prizes, pumpkins, dodgeball, maybe even a flying monkey or two are in store. 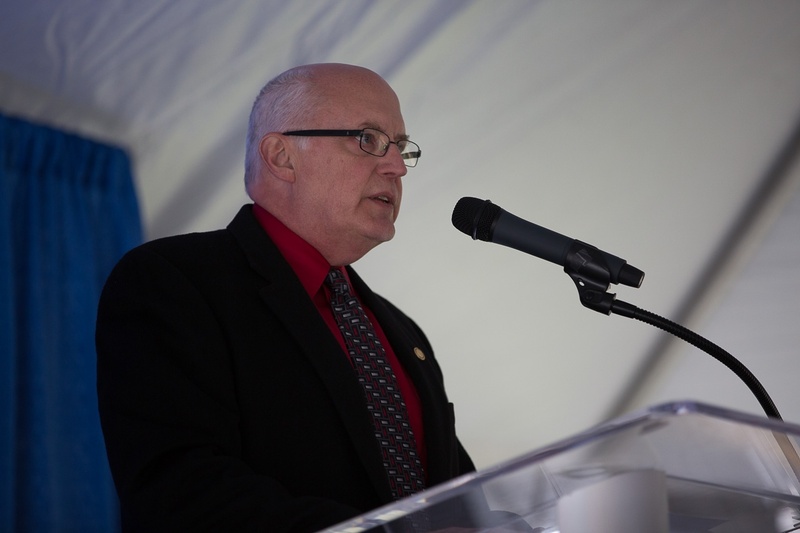 On Wednesday, October 14, Dr. Dennis Joslin signed a Statement of Support pledging Nebraska Methodist College’s commitment to the brave men and women of the National Guard and Reserve. Nurses, social workers, HR representatives, insurance agents and anyone else interested in creating a healthier, more productive workforce are invited to attend the Fifth Biennial "Aging With Passion & Purpose Conference: Generations Working Together" on October 19, 2015. Why work in one hospital when you can work in many? 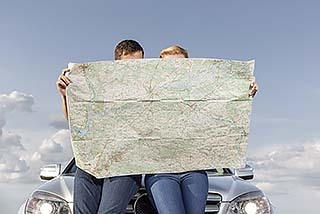 Travel nurses are in high demand, with the healthcare field in desperate need of qualified individuals who can step in and help patients in areas of distress. As a parent who’s thinking of going back to school, you face a lot of obstacles that your average college freshman doesn’t have to deal with: daycare. A job. The daunting thought of going back to a setting you thought you left behind years ago.